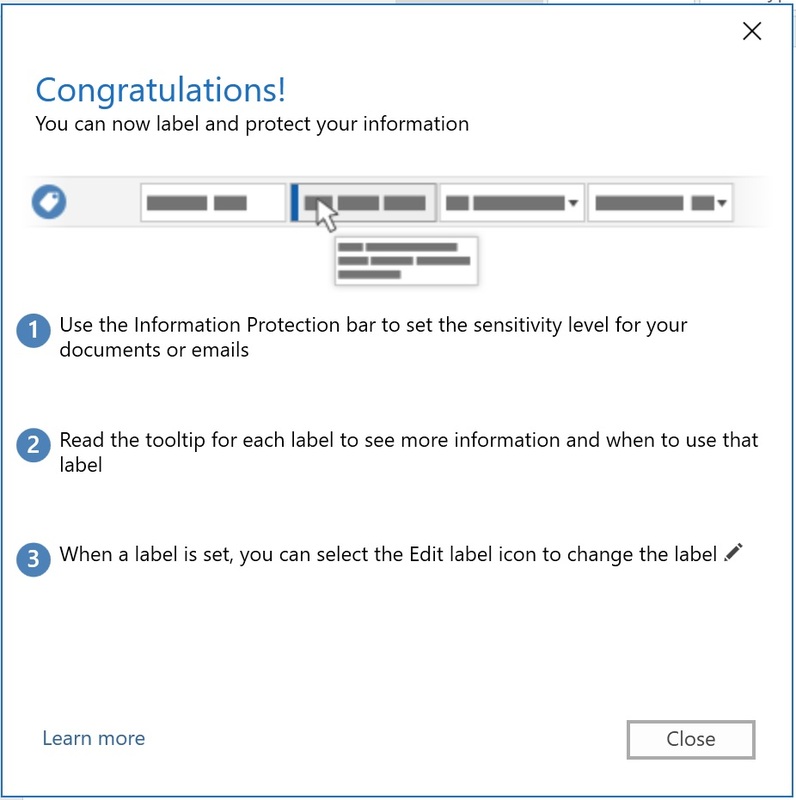 When the Azure Information Protection Client is installed, users will see a Congratulations screen whey they first open an office application. This popup can be disabled in the registry by enforcing the following reg key. Handy if you want to build it into an image.